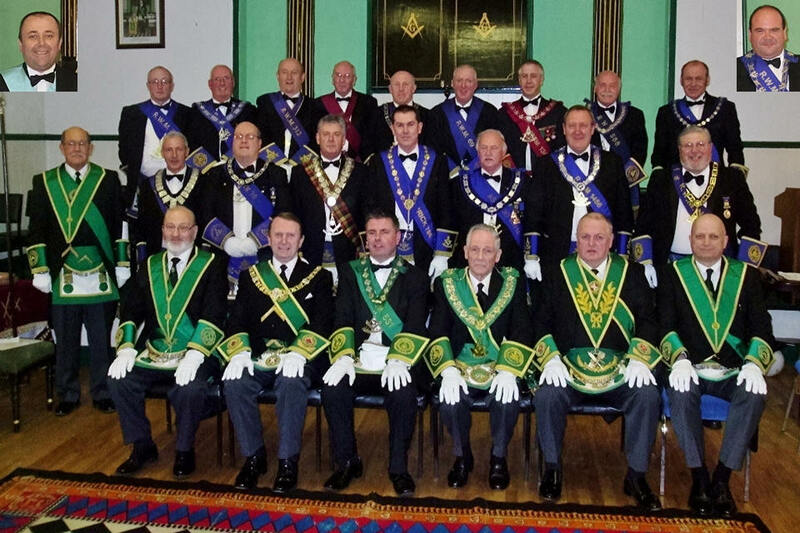 The 12th Annual Reigning Masters’ Degree was held in Lodge Abercromby No 531 on Friday 27th April 2012 when the Right Worshipful Master of Lodge Abercromby Brother Iain McMillan chaired the event. Some 103 brethren were in attendance and had an enjoyable evening. Guests of honour were Right Worshipful Substitute Grand Master Brother Alex. Galbraith and Right Worshipful Grand Secretary Brother David M. Begg. Nineteen out of twenty-three Masters of the Province took part in the ceremonial that was to a high standard. As a result of the collection taken and the subsequent raffle held after the meeting two Charities will benefit by each receiving half of the £700.00 raised. They are SEBN Support Service, Raploch Campus, Stirling and Carrongrange School, Larbert as nominated by the Reigning Masters. Presentations will be made in the near future.